You are quite simply one of those very rare professionals, who quickly understands the needs of their clients and then follows through with superlative service....and beyond that friendship. When I arrived in Austin in April, 1996, I very much required your expertise. I did not count on your friendship. It was unexpected and appreciated more than I can say." I just wanted to thank you again for your professionalism and service in helping us to sell our house in Austin. My family believes that you were a significant reason why the house sold in such a short time. You met with us on a days' notice, clearly delivered your marketing strategy, and had the house on the market in two days. Further, you conducted two open houses in the first two weeks. On top of that, you produced what I can only describe as the best and most complete visual real estate flyer I have ever seen for the inside of the house, and an appropriate teaser for the outside. Despite the down market, your attentiveness and marketing prompted quite a bit of traffic to the house. As if additional accolades were needed, your counsel and wisdom in helping us to respond to an initial offer was invaluable. I will also remember the date because I was literally driving back to Austin late on Friday night, and you were still in the office awaiting the offer and calling me with updates. The very next morning, you promptly met with us to consider the offer. At a time when other realtors might have encouraged us to take an offer lower than our asking price because of the depressed market for homes greater than $300,000 and the constant barrage of media reports on the demise of the seller's market in Austin, you helped us to formulate a respectable counteroffer that was ultimately rejected because the buyer simply wanted to "steal the house" after reading a Saturday morning article in the Austin American statesman. Your industry experience led directly to us receiving a full price offer the very next day after the second open house. Because of your diligence, the house sold in a declining market in one and half weeks! I could go on about your continued patience, attention to detail and availability in dealing with the relocation company, the home repairs, the inspectors etc., but suffice it to say that words simply wouldn't be enough. The outstanding job you did for us. We really feel like you went above and beyond your normal duties in handling so many issues after we moved to Houston. You never complained when problems arose with the relocation or repairs, instead you just kept smiling and took everything in stride. We sincerely appreciate you, and if there is anything we can do to help you out, please don't hesitate to give us a call. Take care and may God continue to bless your family. He certainly blessed ours in making you a part of our lives. 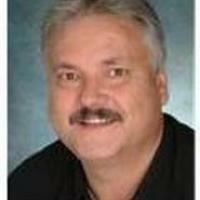 The realtor assigned to our Austin account is Ed Askelson. It is because of his handling of our property that I am writing to you. The guy has just been a "godsend." It is a small commission by Austin standards, but Ed has worked diligently and put much effort into getting matters resolved. This house is an inheritance, and I won't go into detail on the problems connected with it, but there's been a lot extra work required on Ed's part. Especially since we live so far away and have difficulty taking care of those matters ourselves. Ed has gone far beyond what I would expect as part of the salesman's responsibilities. He has spent much time that is not normally necessary for a residential sale. I don't know what we would have done without him... in closing, may I add that my opinion of most realtors is not a favorable one. It is such a pleasant experience for my husband and I to know we have folks representing us that are professional and exceed the standards of your industry. Ed Askelson is certainly "one in a million" and I thought you should know about it. Dear Ed, I was pleased to read the letter from the president of prudential real estate affiliates. Congratulations on the honor. While you indicate the award is due to clients like me, rather you have clients like me because of your dedication and hard work in our behalf. I shall look forward to hearing about the award ceremony in Las Vegas. It is a well-deserved honor. We have been very pleased with Ed and the services he has provided. Ed is a thorough and reliable agent. Whatever we asked him to do, we could always count on him doing it, doing it well, and completing it on time. He was hard-working and always available to talk or meet with us at all kinds of hours, one time even calling to discuss with us during his vacation. Ed was always courteous and displayed the highest level of professionalism under all circumstances. His knowledge and experience in the real estate field in general, and for the Austin market in particular were extensive and we always valued his advices..."
Dear Ed, Laura and I wanted to thank you for your outstanding service in helping us find our new home in Austin. Your dedication and attention to detail helped us make the right choice based on our needs and your support helped us make the closing go as smooth as one could possibly want. The key success factor for us was the great customer service that you provided- not just doing the things that we expect a realtor to do-but the support that you provided above and beyond-ensuring not just that we were able to get the house and close on it, but your assistance in our total relocation. Ed, again, thanks for everything that you have helped us with and for making our entry into Austin such a pleasant one. Dear Ed, Russ and I both want you to know that we think you are one of the very finest realtors "this side of the Mississippi" and the other side too! We also feel like you are a friend that we will have for years to come. Thank you for all your hard work, patience, humor and thoughtfulness. Our move to Austin was made easy by your effort & caring concern. P.S. We wake up every morning and can't believe how lucky we are to live in this beautiful home!"